We are excited to announce the addition of a new luxury fabric from our favourite mill “Vitale Barberis Canonico”. 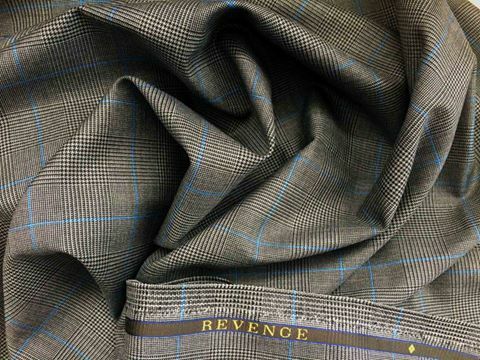 VBC’s “REVENGE” Super 150’s range is made entirely from 16.1 micron wool, spun to a 104,000 yarn count. This means that from each kilo of wool we obtain 104 kilometres of yarn. The resulting fabrics tailor and wear superbly. The “R E V E N G E” range is a collection for the most discerning. The colours and styles are timelessly elegant and are ideal for finely tailored suits, blazers and trousers. Come down to our store to feel the exquisite fabric.